Click Here To See Mr. 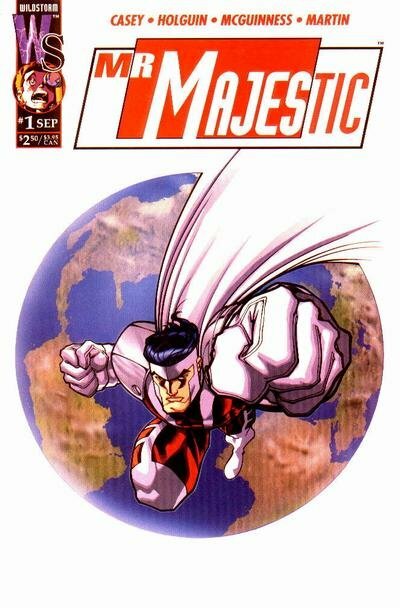 Majestic #1 Comic Book! Check out this very nice FIRST ISSUE cover which was penciled and inked by Ed McGuinness, from the story titled: "Cosmology!" This nice cover features Mr. 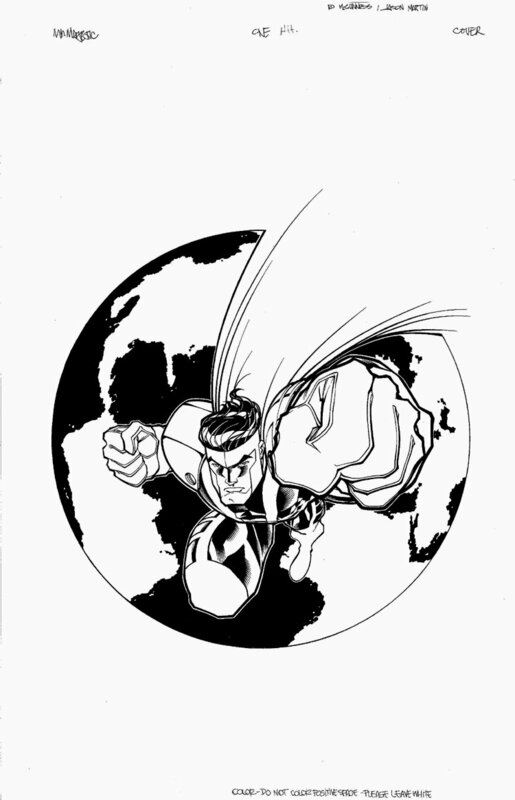 Majestic flying right out of the cover right at the reader in a SUPERMAN like pose! Just a great cover! Compare this nice cover art to the published comic book in the red link above!